Microsoft Virtual Academy ( MVA ) is free Microsoft related technology learning platform. They have included the challenging and interesting field of game programming in their wide range of courses. 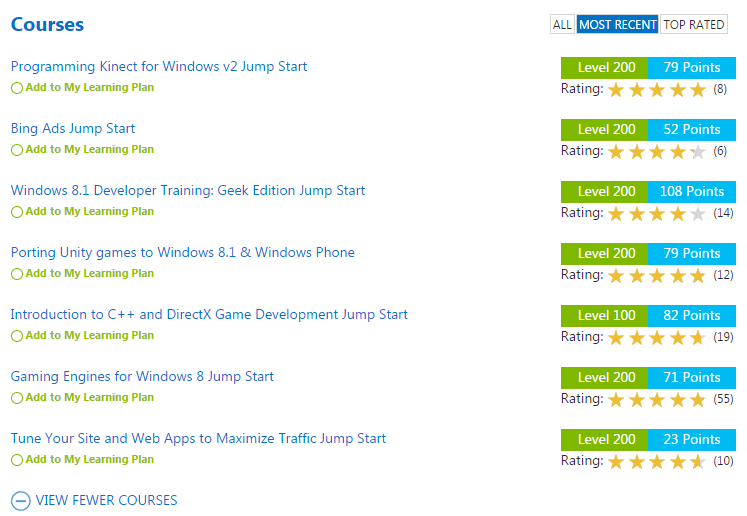 The game programming course is targeted for Windows desktop operating system and windows phone . But you can learn the skills of game programming with this course and then you can try to develop games for other operating systems. In the game programming section there are many programs and if you are familiar with basic game development strategies you can avoid many of the offered programs and go with one you like. If you are absolute beginner then the step in course is Gaming Engines for Windows 8 Jump Start . In this jump start course Michael Palermo, Jeremy Foster and Adam Tuliper talks about the different game engines and also they show demo to create game whit these engines. In addition with this they also give you basic concept to plan your game . Game engines discussed in this course are Unity, Scirra’s Construct 2 and YOYO Games’s GameMaker. Other game programming courses dive deep in these game engines. 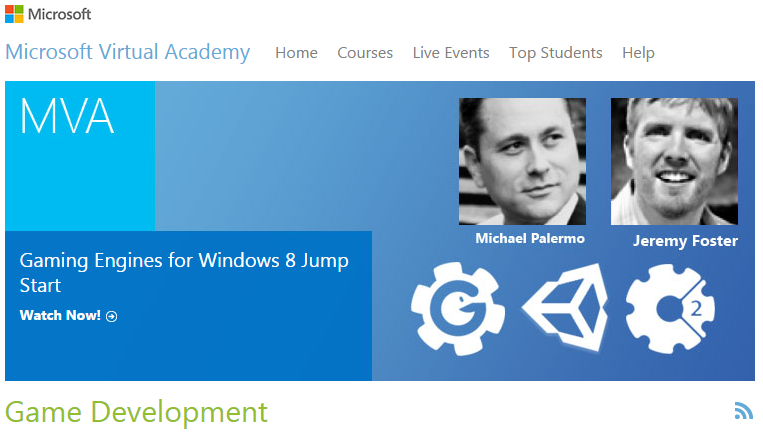 Also there is a course for C++ and DirectX game development. These courses also gives you brief idea about monetization and store submission. Here you can learn how to add third party e-commerce, rotating ads in your games and make some money.